LEON HASLAM AND JORDI TORRES ARE DETERMINED TO CONTINUE THE WINNING STREAK BEGUN AT PHILLIP ISLAND. 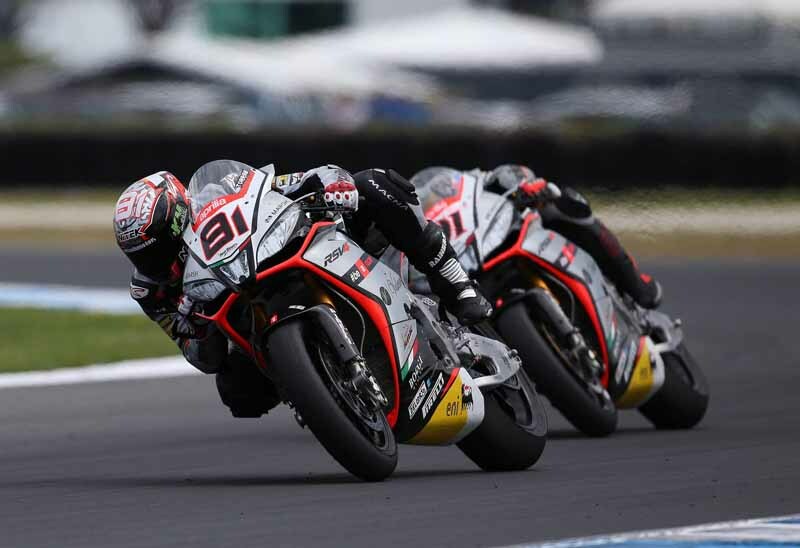 Buriram (Thailand), 18 March 2015 – Aprilia is ready to tackle the second World Superbike Championship round that will be held from 20 to 22 March at the Chang International Circuit of Buriram in Thailand. This will be the first time a world racing championship round has been held on the new Thai track which is 4554 metres long, designed by German Hemann Tilke. The Chang International Circuit is located near the city of Buriram, more than 400 from the capital of Bangkok. After a win and a second place finish at Phillip Island astride the world champion RSV4 and leader of the Manufacturer standings, Leon Haslam is keen to confirm his competitive edge on the new Thai track as well. In Australia the English rider showed that he has an excellent feeling with the Aprilia Racing – Red Devils team 2015 version RSV4 and that he is more than capable of taking advantage of its great potential. At Buriram Leon is also anxious to confirm his position at the top and maintain his leadership in the championship standings. Jordi Torres’ début in the Superbike championship can certainly be considered positive. The young Spanish rider showed that he can keep up with the front runners, a situation that was confirmed by his performance in the first race. In Thailand Torres, who is coming from the Moto2 class, will have to work to adapt his riding style to the powerful RSV4, but he will be able to count on all the experience and skill of the Aprilia Racing – Red Devils team.